Every February, people in the United States participate in this strange ritual where we entrust a large rodent to predict whether winter will last six more weeks (about average for much of the northern United States) or if spring will come early. Yep, it’s Groundhog Day. And as strange as this practice might seem, superstitions and rituals like it actually play an important role in how people form identities and communities. While scholars first studied rituals primarily in relation to religion, eventually they realized that rituals, whether religious or not, were important ways of bringing people together through shared practices. Emile Durkheim was the first to point to ritual’s community forming potential. He argued that rituals are the collective representations of the social group itself — rituals arouse passion, feelings of connectedness, and an experience of something larger than the individual. These features of ritual are conducive to identifying with social groups in an emotional and empowering way. Emile Durkheim. 1912. The Elementary Forms of Religious Life. New York: The Free Press. Victor Turner. 1969. The Ritual Process: Structure and Anti-Structure. Transaction Publishers. Douglas Marshall. 2002. “Behavior, Belonging, and Belief: A Theory of Ritual Practice.” Sociological Theory 20(30): 360-380. However, rituals are not just any set of shared practices — in order to be meaningful, rituals need to feel natural. Rituals present themselves as unchanging and timeless, and until very recently, most people’s experience of ritual was such that to “create” or “invent” a ritual meant it was inauthentic. However, all rituals are products of human creation that become naturalized and taken-for-granted over time. Catherine Bell. 1997. Ritual: Perspectives and Dimensions. Oxford: Oxford University Press. Tom Driver. 1991. The Magic of Ritual: Our Need for Liberating Rites that Transform Our Live and Our Communities. New York: Harper Collins. David Cheal. 1992. “Ritual: Communication in Action.” Sociological Analysis 53(4): 363-374. 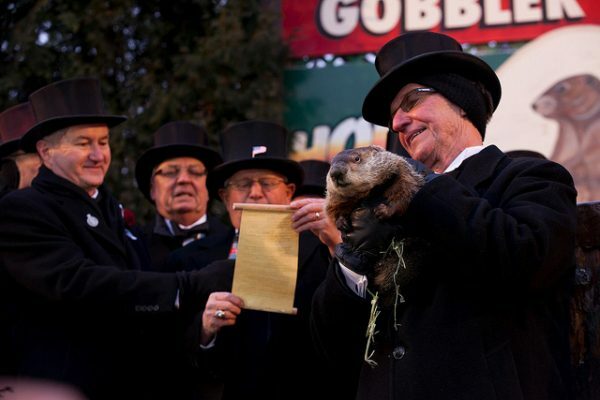 So, Groundhog Day is not celebrated because Americans truly believe a groundhog will predict the coming of spring. Rather, it’s one of many ways we ritualize our life to make meaning out of the passage of time and to feel connected to our fellow humans.